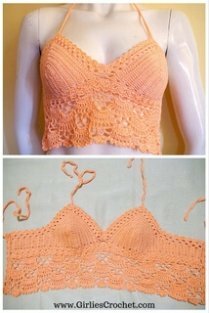 Found your free pattern on the website, so excited and wanna try it out. 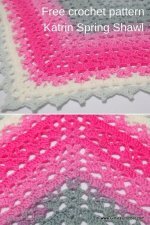 Step by step with the explanation and photos so easy to understand even tho I only been crochet for 3 years. 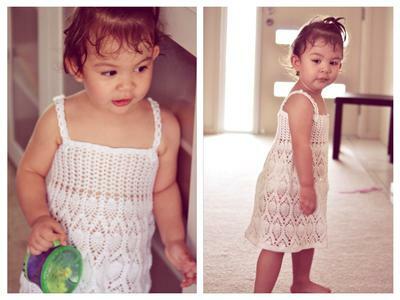 Finished the dress and my daughter was so happy and worn them in the summer. 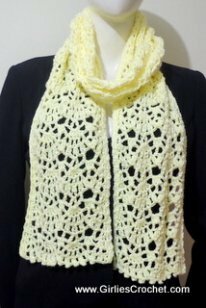 Thanks so much for the pattern, and looking forward for more patterns to try out, cheers. She's so adorable, I love your model. Thank you very much for your compliments. I am so touched by your accomplishment of the kid's crochet dress and I hope that I can be of more help to you in the future. 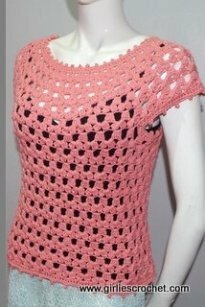 I plan on making more free crochet patterns for dresses since there seems to be a big demand for them. 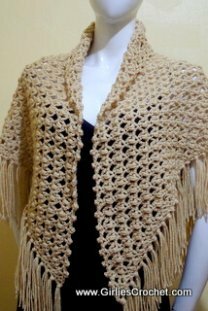 It gives me so much pleasure and satisfaction when I hear about someone who has successfully completed one of my free crochet patterns. You are the inspiration for what I do and hearing from you gives me motivation to do more. 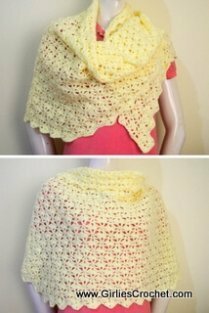 Enjoy your crochet projects. Your happiness gives me happiness also. Again, Thank you very much for your compliments.